Time Trial, Triathlon, Fixed Gear...what else you got? I've built lots of bikes over the years, but not all of them fit nicely into a category. Call or email to start a conversation about your dream bike and I can give you an idea of the pricing. Complete custom builds are available and help to ensure all systems integrate perfectly. Painted in Richard Petty's team colors, Chad's is one of the most unique builds I've ever done. Half fillet brazed and half lugs. 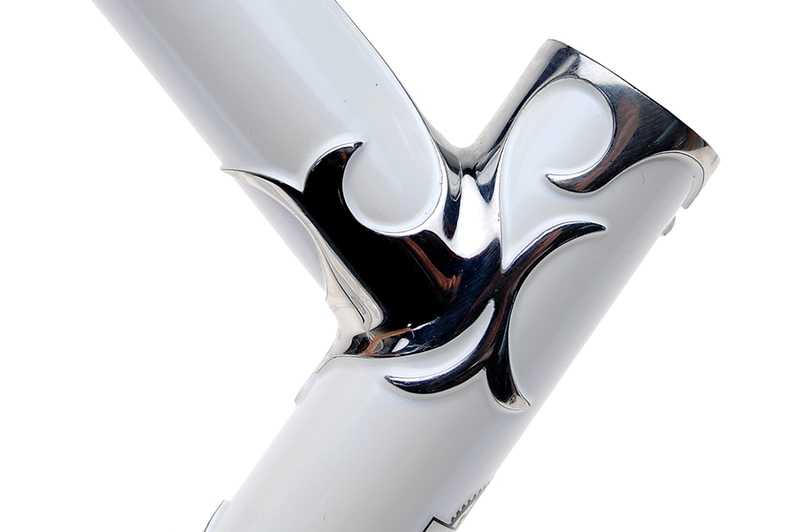 Intricately carved stainless top tube lug. Aero tubing, wheels and Di2 shifting make this bike a wind cheating stunner. 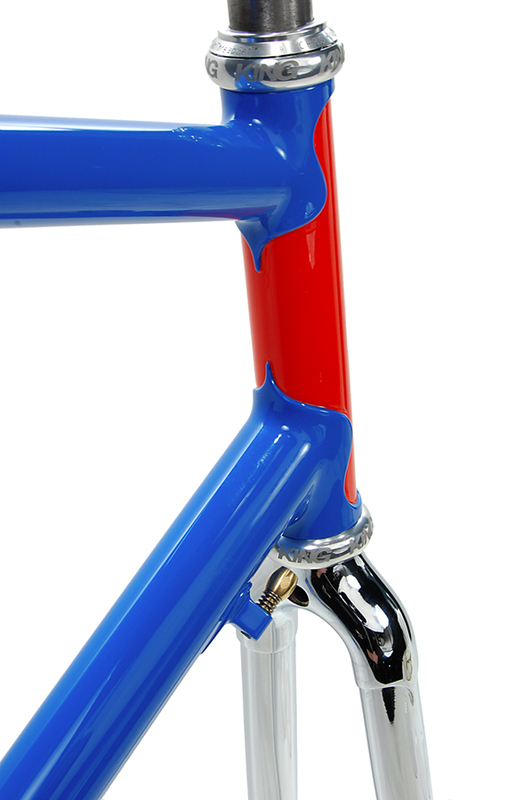 Stunning weave pattern on the down tube and fork. Aero seat stays are fillet brazed to the seat tube. Super smooth fillets mate the aero down tube to the head tube..
James Lalonde piloted this frame to a Singlespeed Cross National Championship. On this Pacenti crown is the crowning touch for the bike. Clean and tidy horizontal dropouts with stainless faces for singlespeed or fixed gear riding. 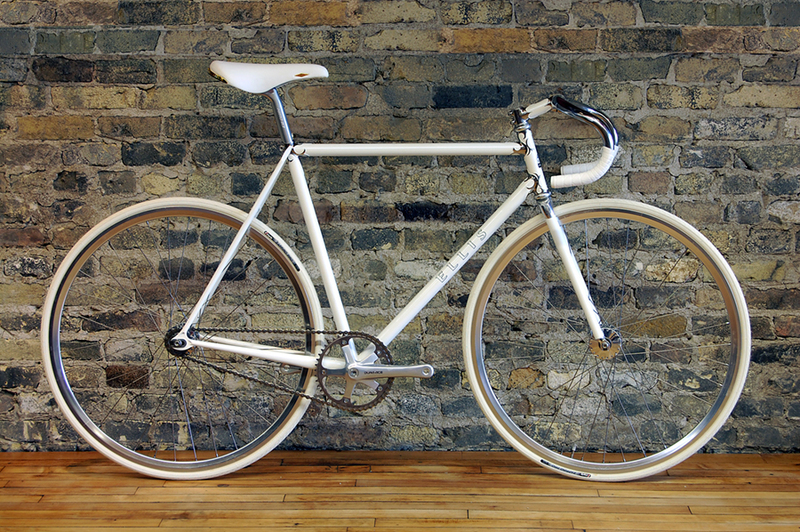 Is built with old school Campagnolo rear dropouts to allow wheel adjustment and fitting up fenders. I added an extension to the top tube lug to get Paul positioned perfectly. I carved an old set of pressed lugs with hearts and a graceful filigree. Clean and simple way to enjoy road riding.